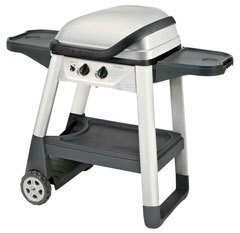 The Outback Excel gas barbecues have excelled year after year and now in it's third season, is a real favourite. Sporting a modern design and in chic grey, you just can't go wrong. Ideal for the smaller space, with 2 fold down side tables and gas bottle holder.